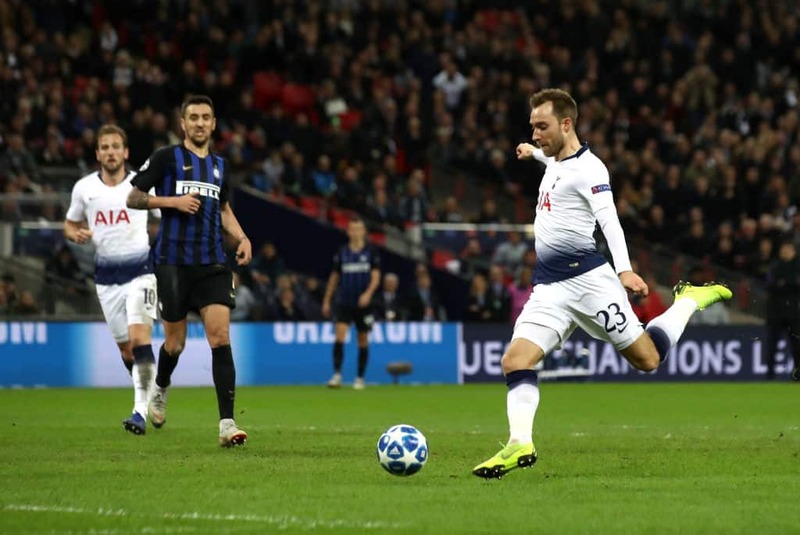 Christian Eriksen has been on Real Madrid's radar in recent weeks but Serie A champions Juventus have joined in the race for the Tottenham star. The Danish international has a year left in his contract after the end of the 2018-19 season and top European clubs are already lobbying for his signature. Tottenham would prefer to sell the 27-year-old rather than let hi go for nothing next season with Spanish giants Real Madrid among top clubs interested in signing the former Ajax star. Juventus sporting director Fabio Paraticio has been scouting the 27-year-old for a long time, according to Italian news media outlet Calciomercato. Returning boss Zinedine Zidane is believed to be a huge admirer but Juve have been in talks with the player's entourage and are considering placing an offer in the summer. The Premier League side still believe Eriksen will eventually sign a contract extension as they cling on to hope they may be able to keep him. Eriksen has scored seven goals and assisted 12 for his team-mates in 38 appearances this campaign for Mauricio Pochettino's side. Meanwhile, Legit.ng had earlier reported that Real Madrid have finally given up on signing Christian Eriksen from Tottenham despite the Dane's contract ending in 2020 with the Premier League club. According to Spanish news media outlet AS, Los Blancos have resulted into relying on the midfield duo of Luka Modric and Dani Ceballos.